Dreams are free but not all becomes reality. Aseri Ranawa only followed Fijian teams playing in Hong Kong from home in Fiji. 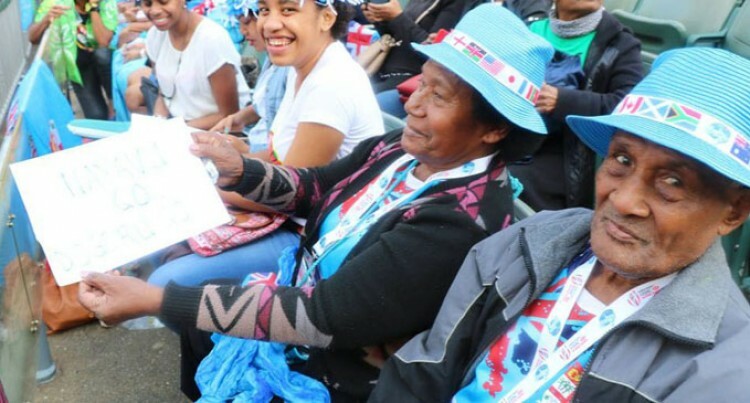 But last weekend, the 75-year old from Nayavu, Wainibuka, Tailevu was at the Hong Kong Stadium watching it live with his wife Alisi Ranawa as the Seremaia Tuwai-captained Fiji Airways Fijian 7s team scored Fiji’s first fourth consecutive wins at So Kon Po. This was possible through their daughter who paid for all their travel and accommodation expenses. Ranawa was grateful for their daughter for making it all possible for them. “In the past I always listen to Graham Eden commentating on the radio and then watching it live on television at home. “But last Sunday was a perfect way to end a day after day serving the Lord, spending it with close families and cheering our boys,” he said. “Like all Fijians we are die-hard fans and we always pray for them,”he said. “Hong Kong is always a second home to Fijians and to win for the fourth year in-a -row was quite special. “And to be there to witness history created in So Kon Po was even more special for a Fiji rugby fan like me. “I would like to thank the Lord for the life of the players and all Fijians for their continuous support and prayers. We believe that through God’s guidance, everything is possible.